Sharon Lask Munson is an award-winning Oregon poet. 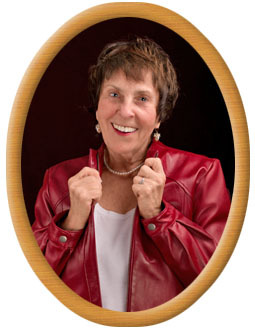 Her work is widely published in many anthologies and journals. Her most recent publications include the journals Frogpond, Indian River Review, Edge, Earth’s Daughters, Third Wednesday, Blood and Thunder, Cirque, and the anthologies, Wine, Cheese and Chocolate (Manzania Writers) The Knotted Bond (Uttered Chao Press), Seek It, Writers and Artists Do Sleep (Red Claw Press) and Forgetting Home (Barefoot Muse Press). Sharon Lask Munson writes with warmth born in the Midwest. Her restless spirit has taken her across the globe. These two elements, home and a love of adventure, give Munson a unique voice. 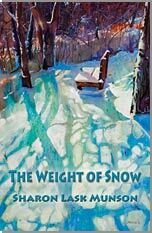 Her poems in The Weight of Snow bring her two selves seamlessly together. Her poem “Kindred Spirit,” tells us all we need to know. Her choice to allow a stranger into her life and her ability to fulfill his desire for connection, speaks of a genuine heart. Her delicate choice of images and words speaks of a nuanced poetic voice that affectively communicates stories about real people, real places, and real feelings. Hold these poems in your mouth for a while. They’re filled with memory’s many flavors. If there is such a thing, Sharon Lask Munson is a master poetry chef. She’s a child who sneaks into the attic and examines old treasures. We sneak in with her. One poem’s title “Love, Decoded” is indicative of what Munson accomplishes in this wonderful collection. Poems in the middle section grow up and heat up—“riots of color in an untamed garden.” The last section takes a darker turn, where the poet claims she will “track down a scrap of my heart unleashed accidentally.” Then Munson returns to the feast—eggs, golden raisins, brown sugar, farmer’s cheese, walnuts, and a hint of cinnamon.” Savor it all. gunmetal gray, smooth and still. Wooden cottages dot the shoreline. Red Egrets gather on the raft. dance low and slow to Blueberry Hill. practice scowling, smoke Camels, sip beer. still safely on the far side, peeking in. For a signed copy, contact the author!